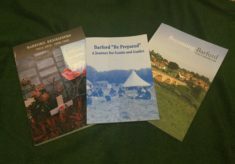 A list of our publications which you can order. They contain a lot more detail than is available at present on the website. To order, email admin@barfordheritage.org.uk and we will send you details of how to pay. Sorry, we are an amateur organisation, so we can't take payments directly through the website.